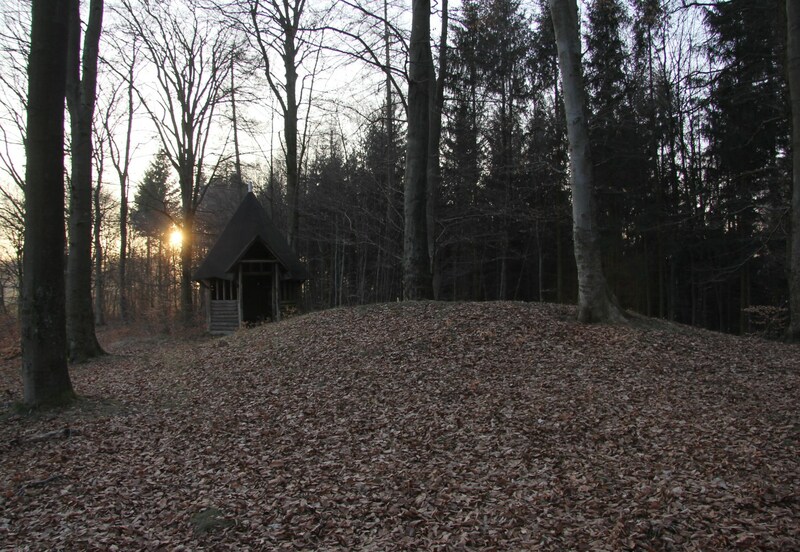 Near the small village of Balzfeld-Horrenberg, Baden-Württemberg, Germany in a small forest called ‘Grosser Wald’ (‘Large Forest’) there are three round burial mounds arranged in a line from east to west. 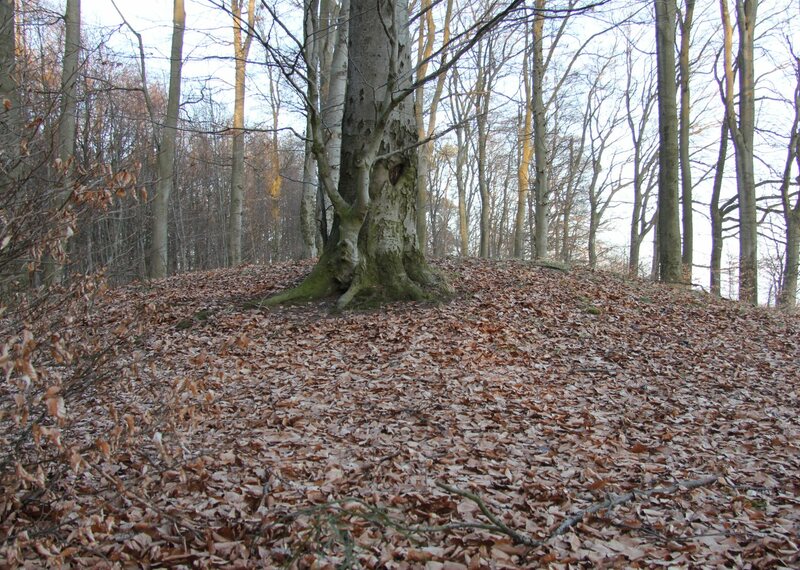 The barrows were called ‘Roman’ barrows and the inhabitants of Balzfeld and Horrenberg believed that there was a huge battle at Balzfeld and three great Roman generals had been buried here. It is also said, that 200 years ago the Catholic priest from Mühlhausen-Angelbachtal still used to hold mass there once a year. 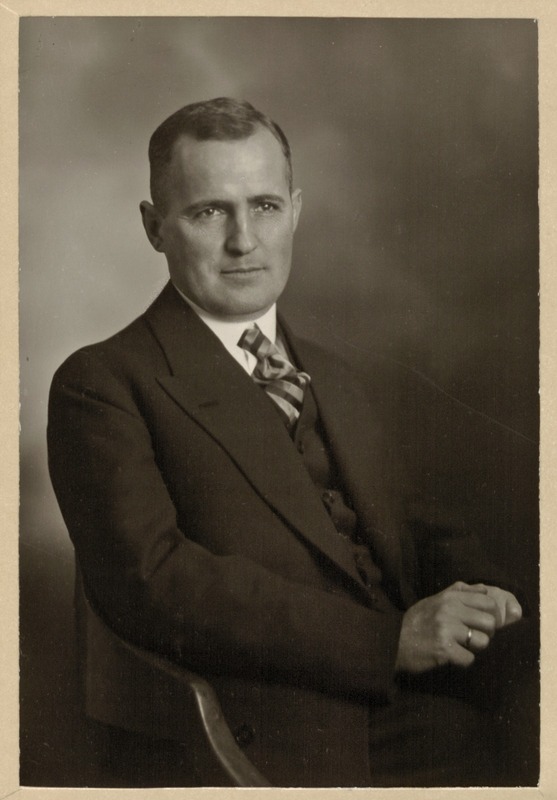 Ernst Wahle, then professor at Heidelberg and the excavator of the burial mounds described them as 0.8 to 1.2 m high with a diameter of 12 to 14 m.
The most eastern one (3) which seemed to be undisturbed was excavated in just two days on the 1st and 2nd of July 1925 by Heidelberg University students and a group of volunteers. 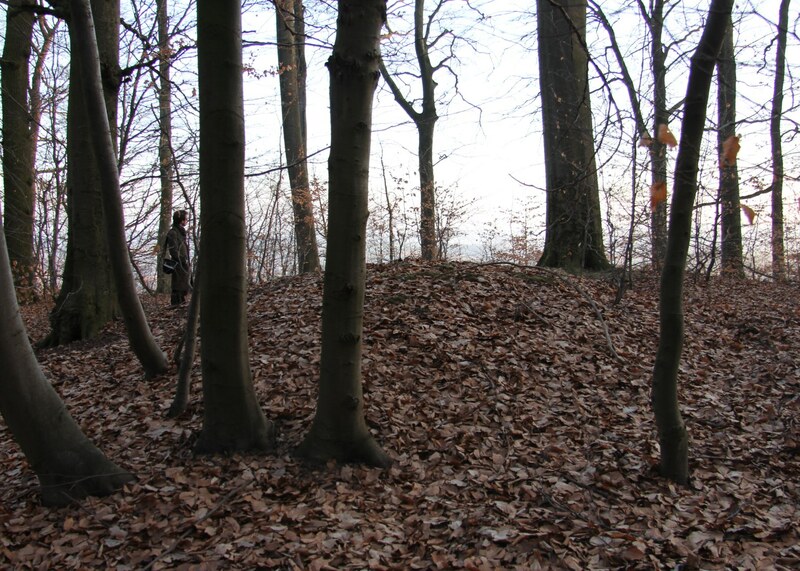 The central grave which Wahle found at a depth of 1.2 m below the central point of the hill consisted of a single burial in a crouched position. The young male individual was accompanied by two stone tools. 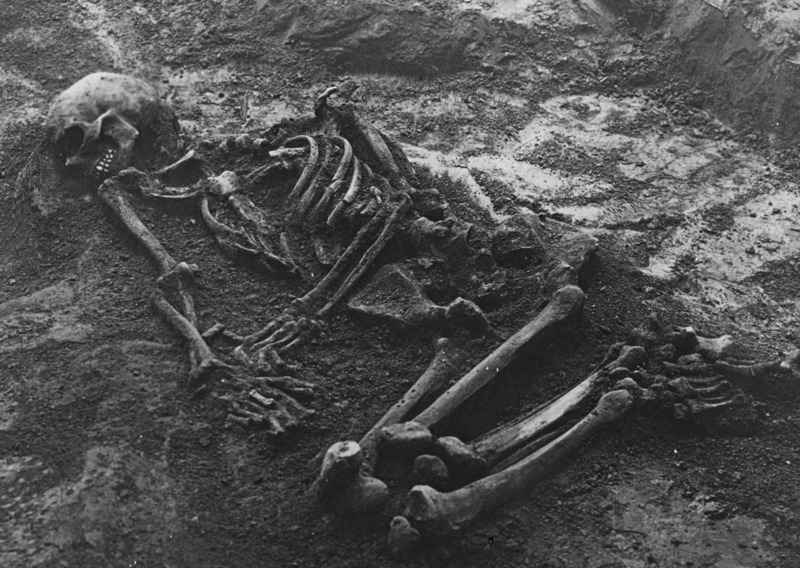 Near the skeleton’s pelvis was a small knife and part of a stone axe lied behind his back. A further axe and a somewhat larger knife were found in a separate pit east of the skeleton. 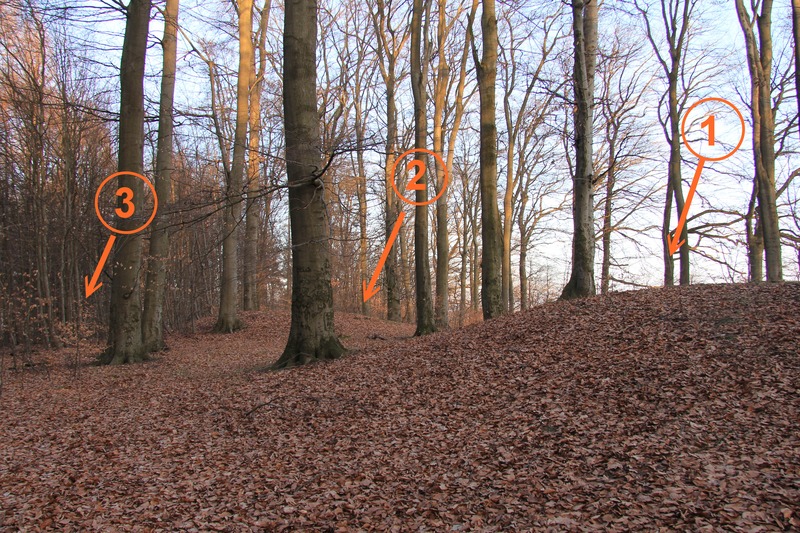 The second part of the broken stone axe was lying on top of the burial, only 15 cm beneath the hill top. Both knives are made from jasper which can be found in lime malm rock from the Alb and Upper-Rhine area and was probably transported along the Rhine and River Neckar together with gravel towards Mauer or Wiesloch. The axes were fabricated from an amphibolite (amphibol-gneis) found only in the Black Forest area. Since it cannot be found in river gravel it must be assumed that either the stone or the axes were imported from the area of origin. Although there were no traces of wooden or stone architecture, there was a layer of burnt wooden branches on top of the skeleton. The best match for the wood was birch tree. Still burning or at least smoldering birch branches were laid down on the skeleton. Which is quite intersting, as birch was already in decline due to the spread of oak and lime and therefore although definitely still present much rarer. No pottery was found with the burial and the attribution to the Corded Ware culture was based on the stone tool types as well as the layout of the burial (crouched position under a round barrow). Comparison with other similar burials in the Kraichgau area as well as sites in the Neckar and Rhine valley (Wiesloch and Mannheim) substantiated Wahle’s conclusion. 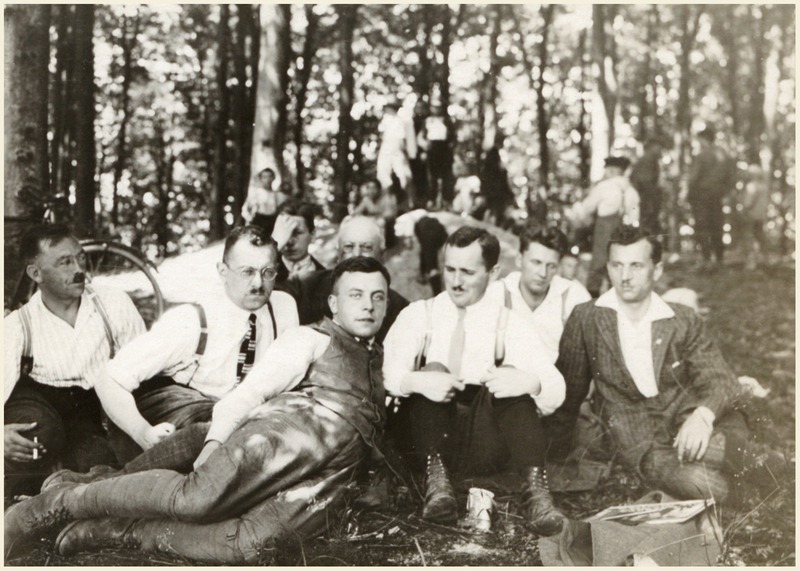 Wahle, E 1926. 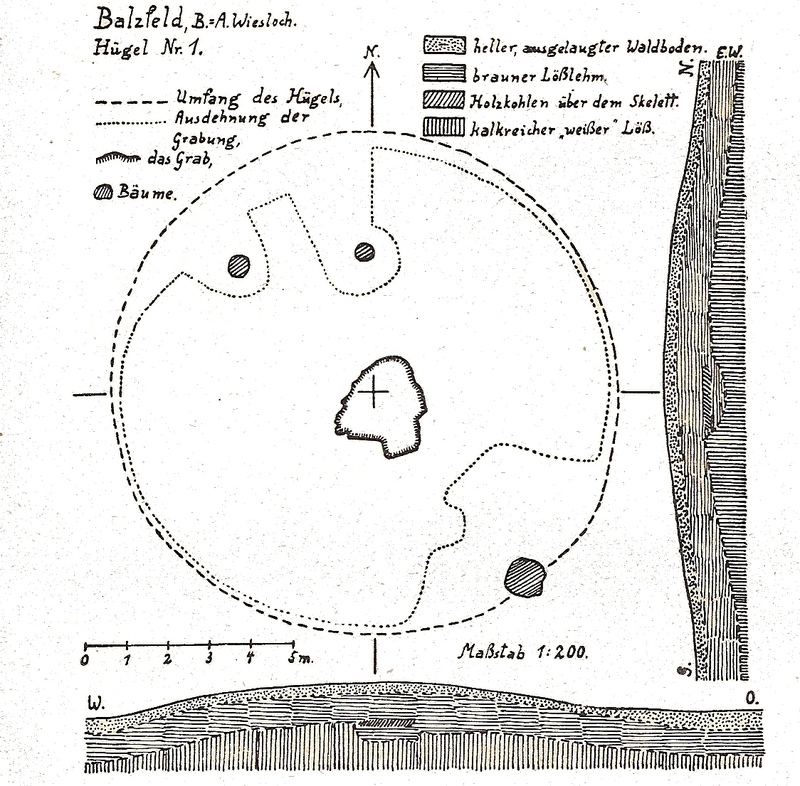 Steinzeitlicher Hügel bei Balzfeld, B.-A. Wiesloch, Badische Fundberichte 1, 1925-28, 118-123.